After starting strong more than a decade ago with a string of ever-better albums, Wye Oak seemed to get lost. The Baltimore duo traded guitars for keyboards on its fourth album, Shriek, in 2014, and the result was mostly just boring songs that never caught fire. They weren’t much more engaging on Tween, a 2016 collection built out of repurposed remnants the band had written between 2011-14. Thankfully, Jenn Wasner and Andy Stack have emerged from their torpor with their most compelling album in years. The Louder I Call, the Faster It Runs finds a balance between guitars and keyboards on songs that toggle from bold and complex to subtle and contemplative. Sometimes they intersect: Wasner sounds reflective on “Lifer,” singing over an atmospheric musical arrangement interrupted midway through by a volatile guitar break that serves as an excellent reminder that she’s a powerhouse player. She and Stack have also become more adept over the years at deploying synthesizers. A deep, resonant synth sound opens “Symmetry,” and bubbles into a brief electronic maelstrom in the middle of the song before receding back into Stack’s busy, propulsive rhythm. There’s a keening synth on “It Was Not Natural,” and electronics shudder in the background behind a wash of guitar on “You of All People,” leaving plenty of room for Wasner’s sad, soulful vocals. There’s a downcast air to much of the album, which suits Wasner’s voice. Often set back in the mix on the band’s earlier work, her vocals have become rich and nuanced, and they stand out here. She sings with sinewy grace on “My Signal,” her voice buoyed by orchestra swells of strings, and sounds ethereal over chiming guitar and the subdued burble of electronics on “Join.” The title track demonstrates her range as Wasner moves from dreamy, languid phrases on the verses to the terse, staccato pattern of the chorus, while her double-tracked vocals on “Over and Over” are potent over a stop-start rhythm. 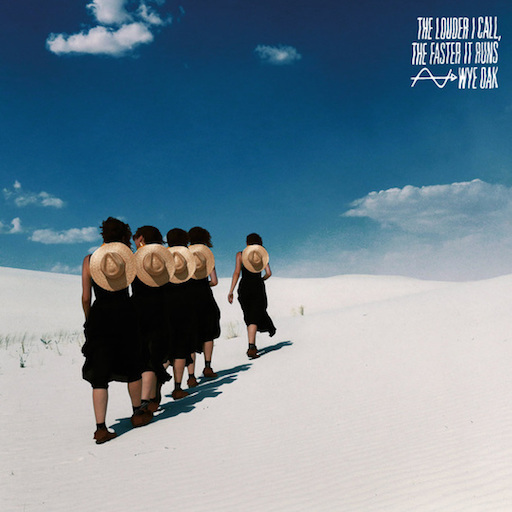 The Louder I Call, the Faster It Runs is arguably Wye Oak’s most assured album: Wasner and Stack perform with a confidence that is almost serene, as if self-doubt weren’t even a possibility. So maybe Shriek and Tween should stand not as the middling detours they seemed to be at the time, but as necessary steps in Wye Oak’s evolution into the band they’ve always wanted to become.